Birmingham City Council has backed proposals to lower the voting age to 16 for the upcoming EU referendum and has pledged to allow sixth-formers to vote in any council-run polls in future. It means the city council has now added its voice to those calling for a lower voting age when Britain decides whether or not to stay in the European Union while young voters in a Balsall Heath neighbourhood plan referendum could be the first in the city to vote. The proposal was put to the council by Lib Dem group leader Paul Tilsley and backed by the ruling Labour group. There was opposition from Conservatives, in line with Prime Minister David Cameron who has said he is not in favour of lowering the age. 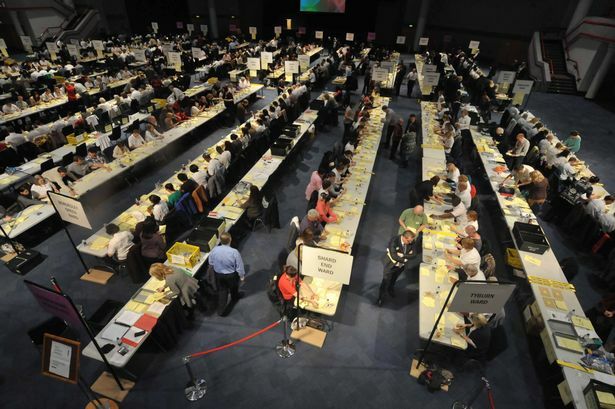 Coun Tilsley (Lib Dem Sheldon) said: "Any politician who has ever attended hustings at a sixth form college will know young people can by just as politically engaged and, in many cases, more so than many older people. They are the toughest questioners there are." The debate has arisen as a result of last year&apos;s Scottish independence referendum where the decision to allow 16 and 17 year olds to vote has been seen as a huge success. Supporters argue that, as membership of the European Union will have long term consequences, it is only fair to lower the voting age that, as 16 year olds can go to prison, pay tax, open a business or fight for their country, they should be allowed to vote. Although a Labour plan to lower the age in votes run by the city council has probably come too late for the vote on a Sutton Coldfield Town Council, it could be introduced for the neighbourhood planning vote in Balsall Heath. Coun Victoria Quinn (Lab Sparkbrook) said: "This is an unprecedented opportunity for almost 5,000 households to have their say on the future of their area. "Within these households, 30 per cent of those people are between 15 and 19 - far higher a proportion than the rest of the city. It would be powerful to give these people a say on their area." Conservatives instead called for an end to postal votes on demand and to demand people show ID when going to vote.